Home » Health » What Is Fetal Alcohol Syndrome? Fetal Alcohol Syndrome or FAS is a disorder that occurs in infants due to the habit of mothers consuming alcoholic beverages ( alcoholism ) during pregnancy. Fetal alcohol syndrome causes symptoms related to physical abnormalities, intellectual and cognitive abilities, and social behavior. An abnormal face shape, such as small eyes, very thin upper lip, a snub nose and looking up, and no curves above the lips. Small head and brain circle. Hearing or vision disorders . Deformity of joints, arms, legs or fingers. Disorders of the heart, kidneys or bones. Slow physical development, both before and after birth. Learning disorders, such as difficulty thinking, speaking and counting. Easily change mood or mood. Difficult to focus and understand the purpose of information. Disruption of movement and balance. Having difficulty in reasoning and solving problems. Difficulty recognizing the consequences of a decision. Are You Know : What Is Corneal Ulcer? It's hard to get along with other people. Having difficulty controlling a behavior. It's hard to focus on work. Difficulty planning and working to achieve goals. Having trouble when having to change one job to another. 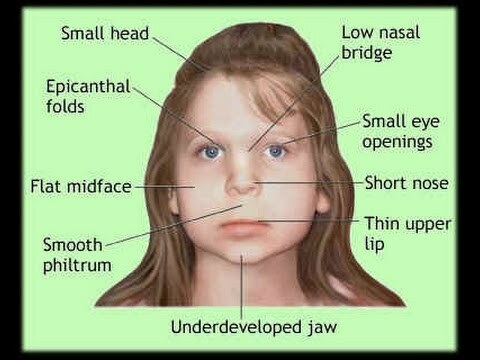 Fetal alcohol syndrome is caused by the presence of alcohol in the fetal blood flow. Alcohol contained in the fetus interferes with the supply of oxygen and nutrients, which causes abnormal fetal development. The habit of consuming alcohol in mothers during pregnancy is the cause of this condition. Mothers who consume alcohol during pregnancy not only can cause FAS in children, but also increase the risk of miscarriage . There is no safe level of alcohol consumption in pregnant women. In other words, too much or little alcohol is consumed, still has the potential to cause FAS. Unlike the time of alcohol consumption during pregnancy, the risks received are also different. Early trimester. Alcohol consumption in the early trimester can cause abnormal facial growth, and slow the development of the fetus in the womb. Second trimester. Alcohol consumption at this stage can cause children to have a low IQ, length and abnormal weight at birth, and experience cognitive impairment such as reading and counting. Third trimester. Alcohol consumption in the third trimester can cause abnormalities in height from birth to adulthood. Diagnosis is also done by uncovering other possible causes. For example, if a child is at risk of having a hereditary gene disorder, genetic testing can be done, either after birth or from the womb. There is no specific treatment method to overcome FAS. However, treatment can be done to relieve symptoms, while preventing other additional symptoms from appearing. Handling should be adjusted to the symptoms of FAS that appear. One of them is the administration of antiarrhythmic drugs, such as amiodarone or lidocaine , to help FAS patients who experience heart rhythm disorders. Surgery can also be done for patients who experience visual impairments, such as cataracts. In FAS patients who experience cognitive and intellectual disorders, the role of parents is very important in their growth and development. For example, if a child has difficulty in learning, it would be better if parents send their children to school in children with special needs, so that children can develop their abilities. Understand the strengths and limitations of children. Use short and clear sentences in conveying intentions. Give praise or gifts for appreciating good behavior. Give lessons about everyday life and socializing. Maintain the safety of children from the environment or people who can worsen the condition. Symptoms related to physical and mental forms can be experienced by FAS sufferers for life. Consult with a doctor to determine the appropriate treatment method to relieve it. Avoid activities or conditions that can trigger the desire to consume alcohol. Participate in groups or communities that have the same desires and problems. Keep in mind that there is no safe amount in consuming alcoholic beverages during pregnancy. 0 Response to "What Is Fetal Alcohol Syndrome?"